Wear comfortable clothing!! I had initially considered wearing flip flops and was so thankful that I put on sneakers instead. BEA requires a lot of walking and a lot of standing on line so it definitely pays to be as comfortable as possible. Plan ahead! BEA had a really helpful mobile app for download on any smartphone. It provided me with not only a list of exhibits and author signings, but also had a map and allowed me to make an agenda so that I could better plan out my day. If you don’t have a smart phone, I would highly recommend making an agenda on paper and figure out ahead of time exactly which authors you absolutely have to see. The autographing area got super busy, especially around 10am-11am when most of the popular authors were doing signings. Having a plan is a huge time saver! Be friendly! Don’t be afraid to talk to fellow book lovers! 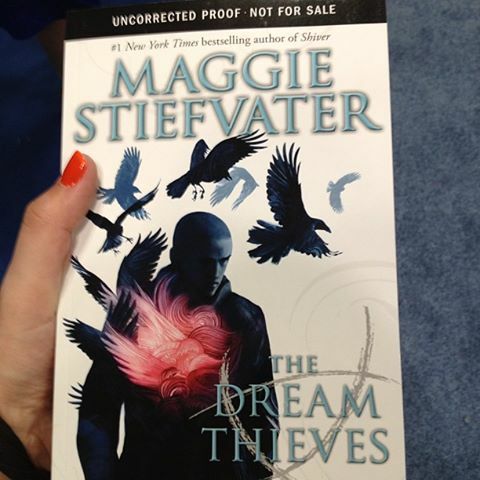 I met some great people on line, and this one librarian from Chicago tipped me off to the Scholastic giveaway of The Dream Thieves at 12pm. People who have attended BEA before have a ton of great advice and you never know what kind of connections you can make! Bring a backpack!! I can’t stress this enough. I brought a tote bag and got a really awesome red tote from McGraw-Hill’s exhibit but my shoulders are literally red and swollen. 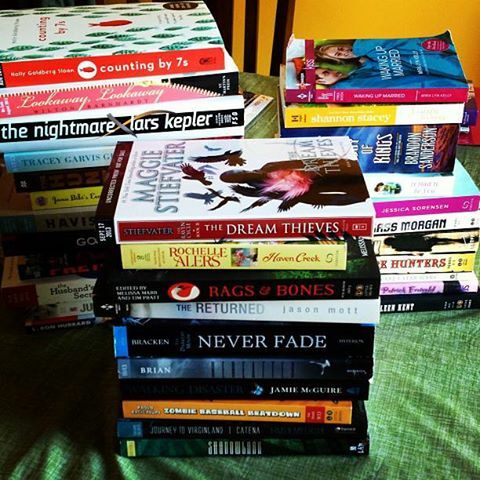 Carrying 34 books at once is not at all easy, especially for a tiny 5’1″ girl like me, and I found myself wishing for a backpack many times! Don’t be afraid to branch out! I typically read only YA, but I found myself picking up books that were not specifically YA but that looked really interesting. BEA is a great chance to open yourself up to different genres, and I’m really glad that I picked up a few different types of books. Make sure you’re aware of which authors require tickets for autographs and which publishers have multiple authors signing at once. These are the things to get to early–I missed out on Sarah Dessen’s signing because the tickets were all gone by the time I realized they were being given out, and I was unaware that Harlequin Teen’s exhibit featured twelve authors signing at once, including Julie Kagawa and Katie McGarry!! By the time I got there the authors were out of books. Can you believe I carried these around all day? No wonder my shoulders are still red! !